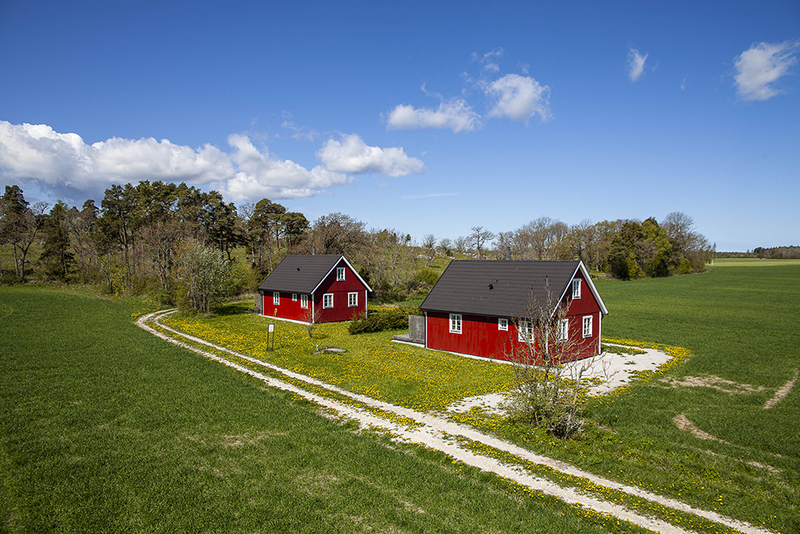 The two Farmer cottages "Eken" and "Tranan" at Norrbys in Lärbro are beautiful and calm located next to a Gotland meadow with antiquities and smaller raukar (stone formations). Take nice walks in the fresh air on winding paths and explore the area. 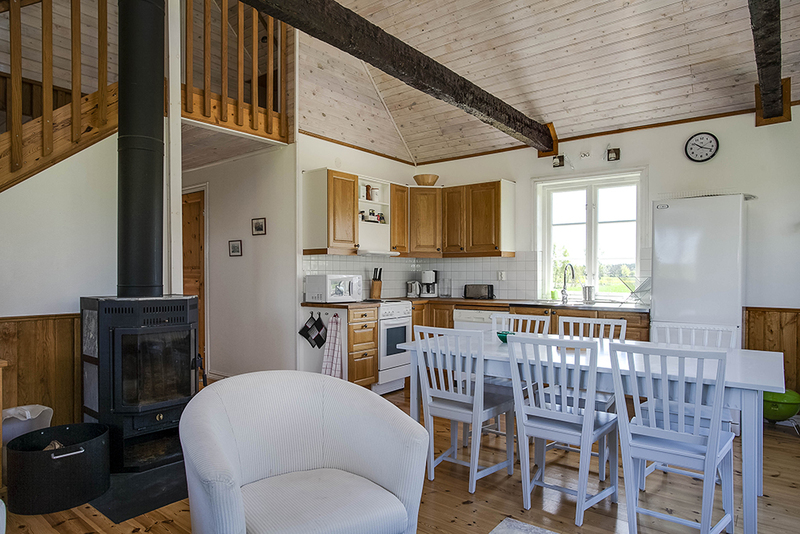 The cottages keep a high, modern standard with an open design and are tastefully furnished and decorated. 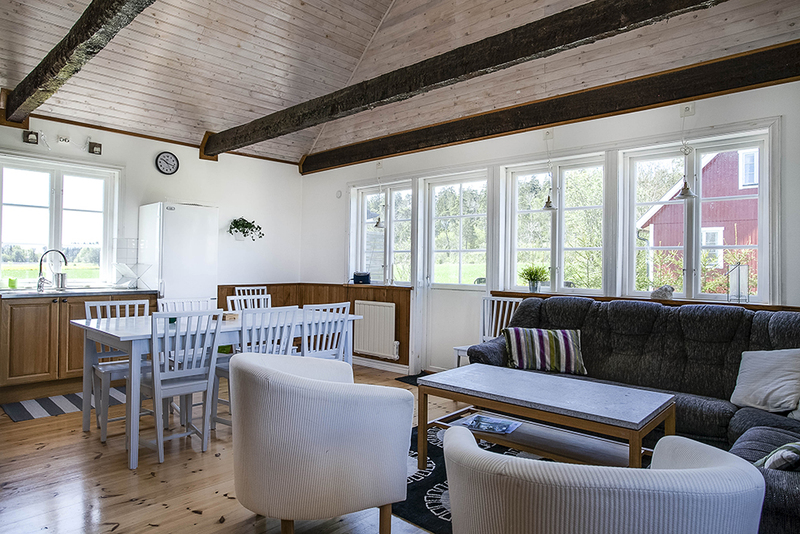 Combined living room and kitchen fully equipped with an electric stove, refrigerator/freezer, microwave oven, coffee maker and dishwasher. Open fire place and TV. Bathroom with shower, wc and washing machine. Furnished terrace with grill. 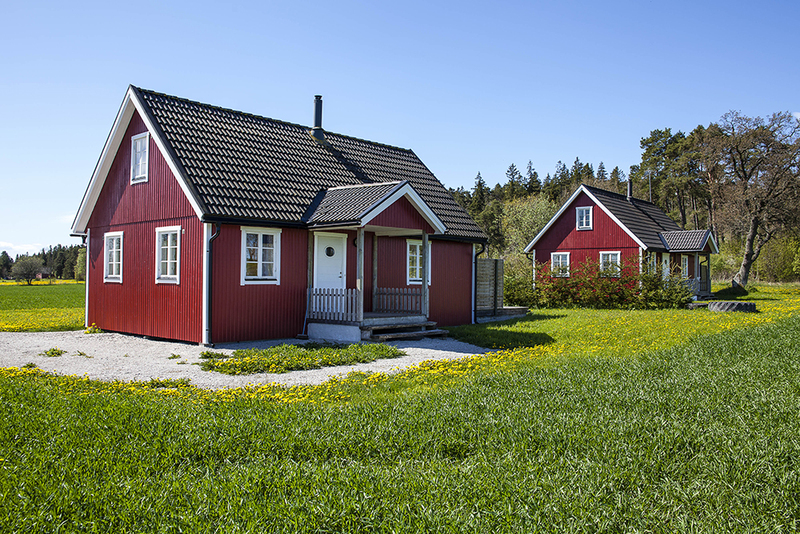 Each cottage has a plot of 200 sqm. 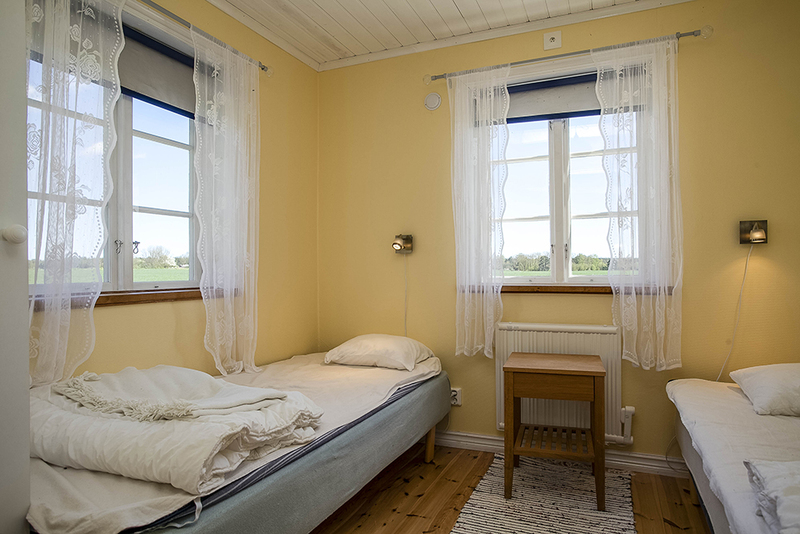 GOTLAND FARMER COTTAGE SGR1815 AND SGR1816. 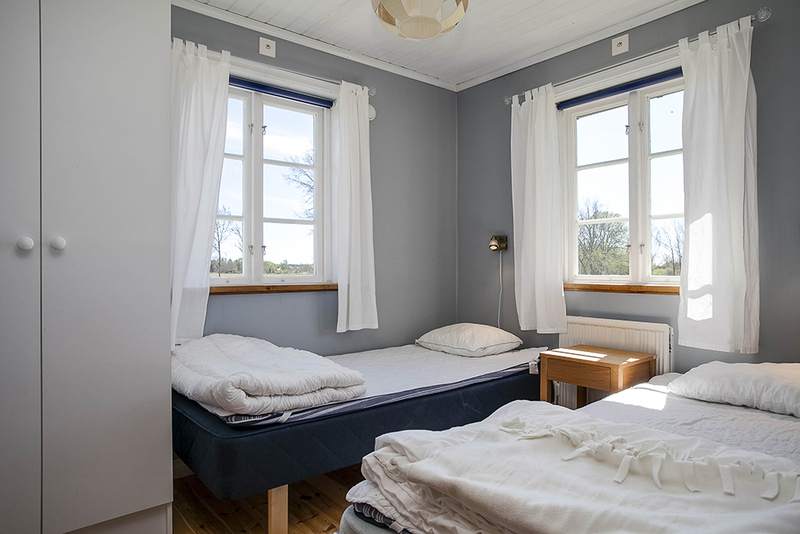 Beds: 6 (3 bedrooms, 2 on the ground flooor and 1 at the top floor, with 2 single beds in each room). Distance: Visby 50 km, Grocery store 5 km, coast 2 km, bath: 3 km. Day of arrival: During peak season Friday, other time of the year rentable per day. The water might have a light smell but it is not dangerous to drink.